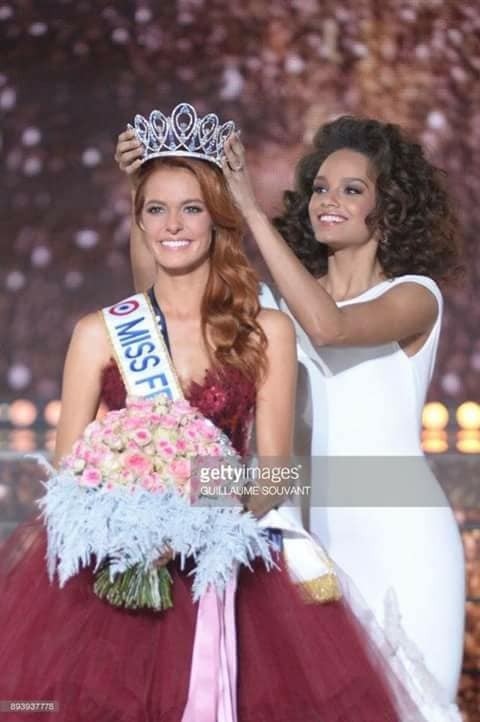 Maëva Coucke, 23, was crowned Miss France 2018 on December 16 in Châteauroux, Centre-Val de Loire. She comes from Nord-Pas-de-Calais, the same region where Iris Mittenaere (Miss Universe 2016) and Camille Cerf (Miss France 2015) come from. Coucke will compete in the 2018 edition of Miss Universe. Her court includes 1st runner-up Eva Colas (Miss Corse), 2nd runner-up Lison Di Martino (Miss Île-de-France), 3rd runner-up Safiatou Guinot (Miss Champagne-Ardenne) and 4th runner-up Audrey Chane-Pao-Kan (Miss Réunion). The show was co-hosted by Jean-Pierre Foucault, Sylvie Tellier (Miss France 2002 and the president of Miss France Organization), and Alicia Aylies (Miss France 2017). 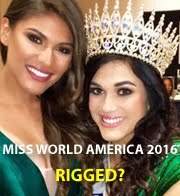 Iris Mittenaere co-presided the judging panel with French fashion designer Jean-Paul Gaultier.